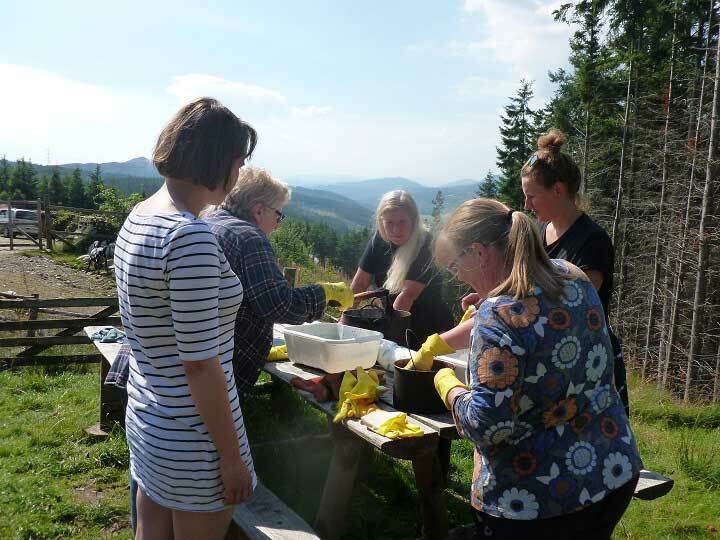 A traditional craft holiday focusing on natural dyeing and felting. The Highlands of Scotland offer so much in the way of traditional crafts and many of these ancient techniques were once part of everyday crofting life. We have developed this week to offer you a chance to learn about some of the Highlands most renowned crafts drawing inspiration from the stunning Highland scenery. After meeting Hilda and her amazingly tame sheep, we thought how wonderful it would be to create a week which encompassed the whole process from sheep to final piece! After watching Alex hand-shear one of our Shetland sheep, we will then sort a number of different fleeces (including Hebridean, other coloured Shetland fleeces and Cheviot fleeces). After which, we will wash the fleeces (scour) ready for dyeing. 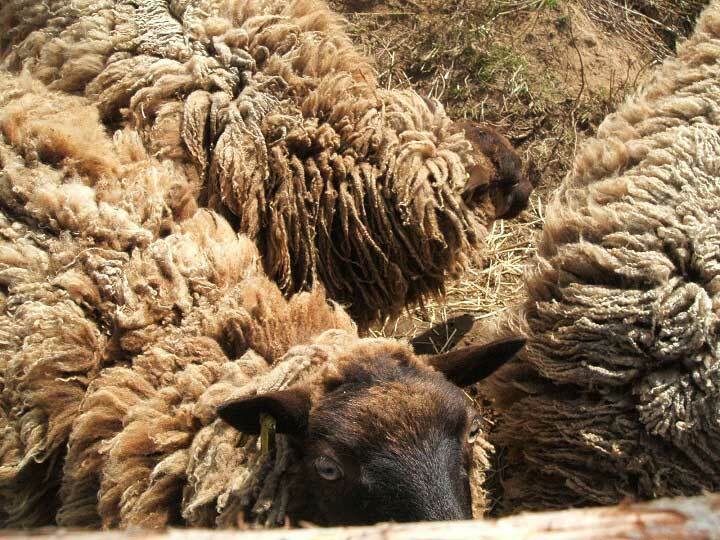 We will walk in the woods in search of dye plants to naturally colour our fleeces. 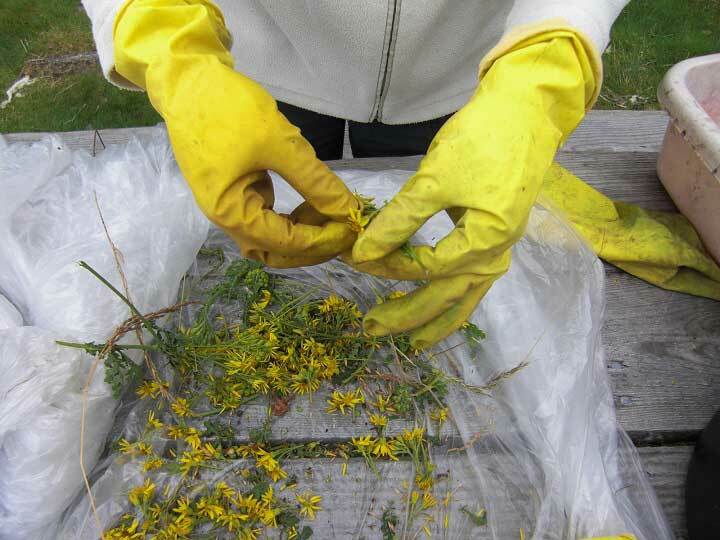 We use the same methods and plants used by traditional Highland dyers, including Stinging Nettles, Bog Myrtle, Ragwort and Heather tops, which all grow in abundance locally and most of which can be found in gardens and fields all over Britain. 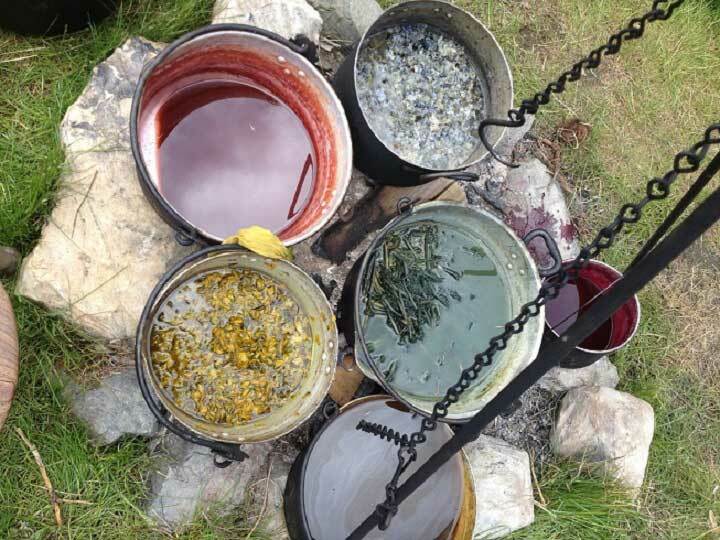 We make our dyes outdoors, dyeing our fleece and silks over fires the traditional way. 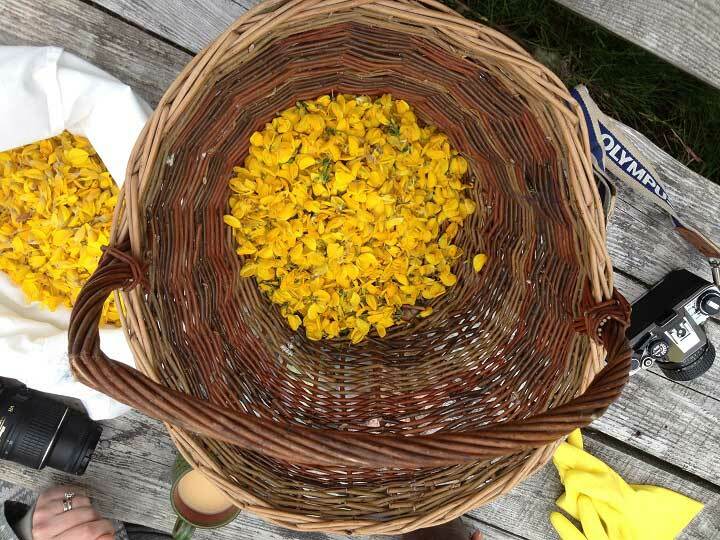 We use foraged plants as well as ancient imported dye plants, which have a long history of use in the Scottish Highlands. We usually manage about 7-8 dyes producing about 25 beautiful shades and colours. 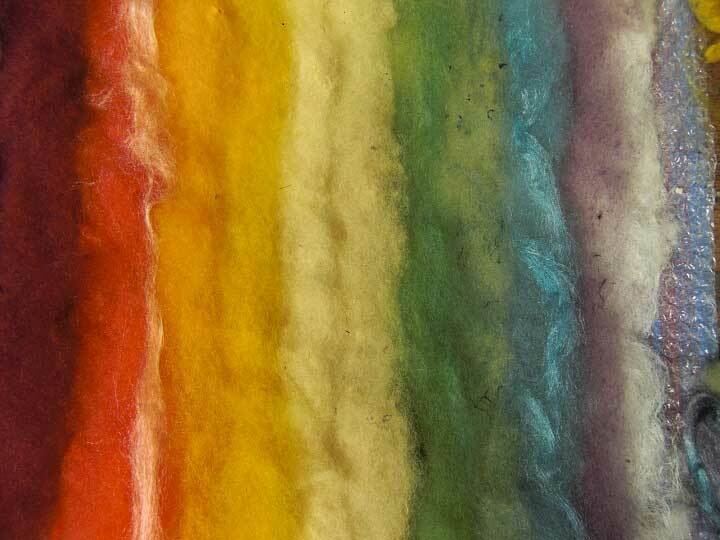 Once our dyed fleece has dried, we then spend some time learning to card, using both hand carders and a drum carder -ready for felting. 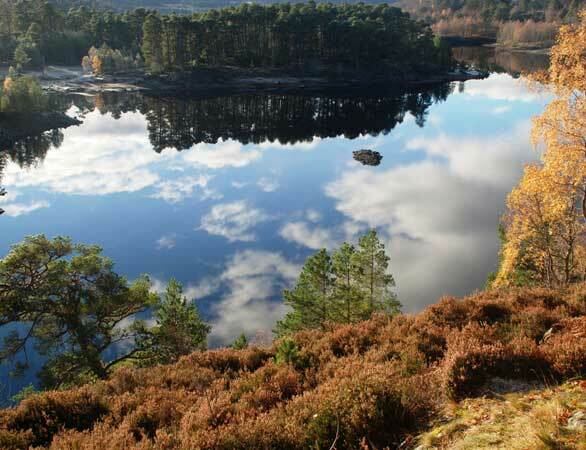 We spend a day enjoying the stunning landscapes which surround us here in Strathglass; visiting Glen Affric (known as one of Scotland’s most beautiful Glens) as well as Plodda waterfalls. 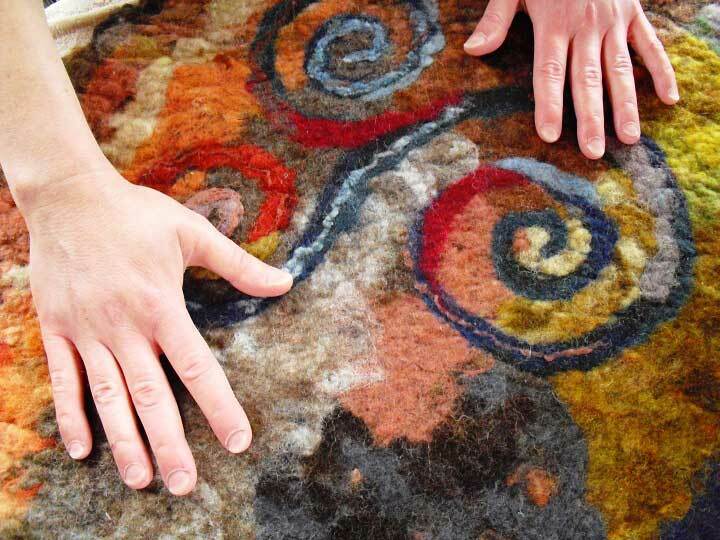 Finally, we will produce a felted piece of work using the wool you will have collected, washed, dyed and carded. Many of our guests choose to make landscape pieces, based on some of the inspiring features they have seen on thier stay with us. However, you can choose to make small or larger items including; wall hangings, bags, hats, scarves as well as needle felted creations. At this point you will have had a go at the whole process- from fleece to felt! This week will give you an insight into traditional crofting (marginal Highland farming) a way of life which has been going on for centuries. These ancient crofting techniques, many of which are still used today, require the farmer to make best use of all the relatively scant resources that are available. This means that little is wasted and it is a very sustainable way of living- a model to us all. We want to encourage people to get involved in the old crafts that enable crofters to survive and ensure that the old skills are not lost and forgotten. During the week you will stay in the Stalkers wing of Kerrow house, which is a beautiful old property, that has been lovingly restored by Liz and John. Stalkers has a traditional farmhouse style kitchen and a cosy living room with a wood burner, perfect for relaxing evenings, sewing, spinning or needle felting. There are a range of bedrooms including; doubles, twins and singles. Kerrow is surrounded by fields and woods, with lots of lovely spots to head off for a walk. Liz keeps two Shetland ponies, so it is always worth carrying a packet of polos! All meals are included in the week and we use locally sourced ingredients wherever possible, giving you a chance to sample some of the local delicacies including; haddock, venison, homemade breads & jam; oatcakes as well as vegetarian options. Prices start at £945 (to share a twin), £1045 (single), £1095 (ensuite).